The Asphalt Pavement Association of Oregon, Inc., (APAO) is a nonprofit trade organization representing the interests of the asphalt paving industry. Membership helps ensure the concerns and viewpoints of the industry are represented by a strong unified voice. The APAO is that voice in the state of Oregon. We believe the key to growth and prosperity in the industry is continuous quality improvement— developed through active association membership, positive customer relationships, and education and training. 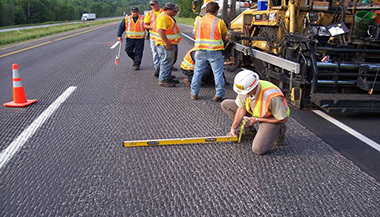 The APAO is recognized locally and nationally as a leader for its advances in education, training and asphalt technology.